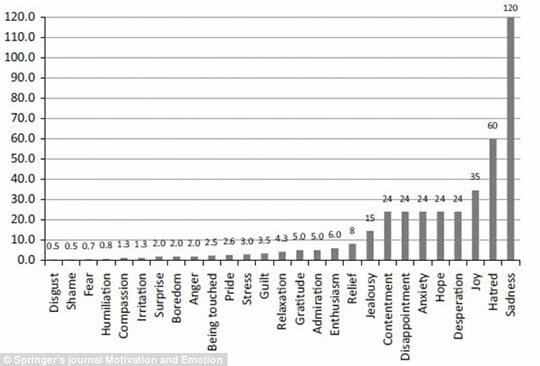 Which emotion takes an average of 4 days to pass, and why? Sadness is the longest lasting of the emotions, finds one of the first ever studies to look at why some emotions last much longer than others. When compared with being irritated, ashamed, surprised and even bored; it’s sadness which outlasts the others. The study, published in the journal Motivation and Emotion, found that sadness tended to be associated with events which had a major long-term impact on people’s lives, such as bereavement (Verduyn & Lavrijsen, 2014). 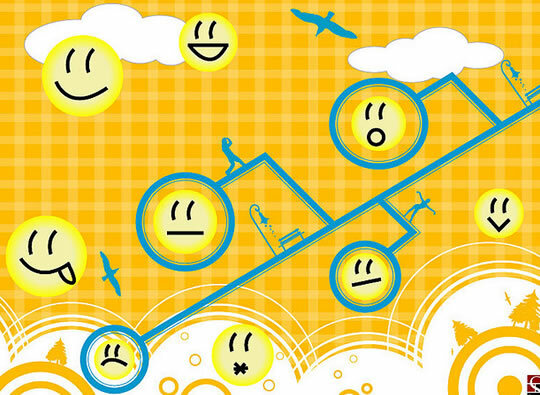 “Rumination is the central determinant of why some emotions last longer than others. Emotions associated with high levels of rumination will last longest. Emotions of shorter duration are typically — but, of course, not always — elicited by events of relatively low importance. The results come from a survey of 233 students who were asked to recall emotional experiences and how long they had lasted. At the extremes, while disgust and shame tended to pass within 30 minutes, sadness continued on for an average of 120 hours. Boredom, meanwhile, tended to pass in a couple of hours, although naturally it feels like longer! There were also fascinating patterns amongst linked emotions. For example, fear tended to be short-lived, while its close cousin anxiety lasted much longer. Similarly, the hot burn of shame passed relatively quickly, but the feeling of guilt tended to hang around much longer.